Now that I have my own kid, I decided it might be a little fun to visit the county fair. I have to admit, though, I’m a bit nostalgic and it just wasn’t the same as the one I’m used to at home. I realized that it wouldn’t be before we went, but I still have a bad habit of getting preconceived ideas of what places and events are going to be like. Does anyone else do that? Anyways, Myka LOVES cats and dogs, so I thought she might get a kick out of the “strange” animals at the fair. That was our main reason for going. Other than that and fair food, I could care less about all the rides and exhibits. I used to enjoy looking at the exhibits, but it’s just more fun when it’s people you know. For me, at least. Myka seemed to enjoy the animals, but she wasn’t as into them as I thought she would be. (At least she wasn’t afraid of them, right? Lol) I think she was a little overwhelmed and distracted by all the people, though. Can’t imagine why. Let’s just say she got LOTS of attention! Other than getting my foot long corn dog and funnel cake fix (I still think I prefer elephant ears. Have you ever had one? They’re amazing!) my favorite part of the fair was a local business we discovered at one of the booths! I am seriously SO glad we decided to mosey through the building they were in! The lady who owns it (who was absolutely DELIGHTFUL, along with her other family and friends helping her out) was selling all sorts of herbal related things, such as teas, salves, wildcrafting books, and other items like honey and candles. My husband has really got me into the whole herb thing in the past year, so we were both excited to find this. 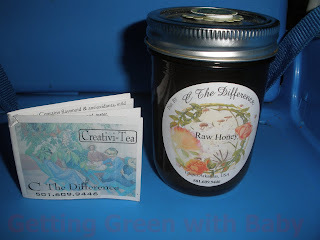 There were so many things I wanted to buy, but ended up with just some raw honey since we are still trying to conserve our money some. The honey we bought was not only raw (yay) but it was also local! I’ve already got a list going in my head of things I would like to get when I have money to splurge. I’m not a big tea drinker, but there was a mulled wine one that sounded a-ma-zing. She also had several essential oils to choose from (love me some essential oils!) and a wildcrafting book that even my husband (who knows a lot more about it than me) was impressed with. 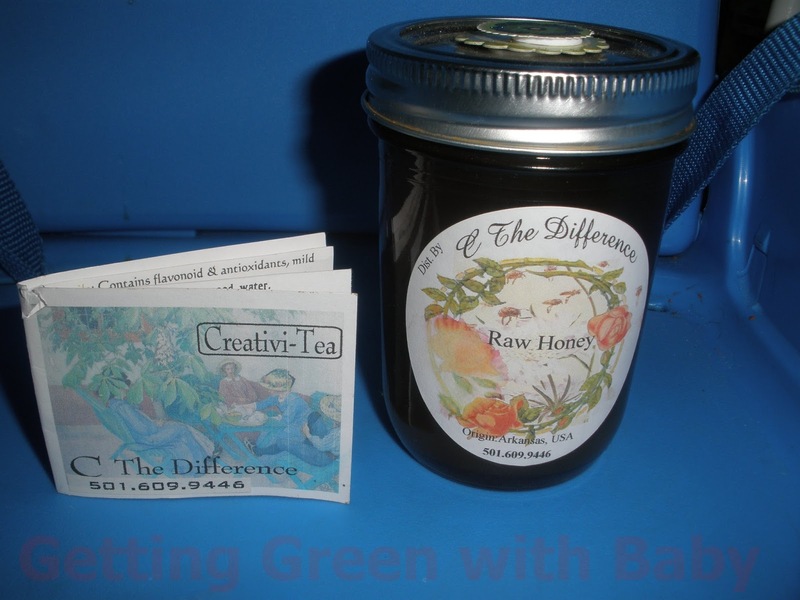 She even included this little pamphlet with the honey with suggestions for how to get the best tasting tea, different herb combinations and what their benefits are, culinary uses, and more! I was also excited to learn that there is a local group called “The Herb-N-League” that holds meetings once a month. The store owner also happens to be the president of this group and on the back of her business card it states that The Herb-N-League is, “A fun group of folks who share an interest in learning about herbs & how to grow them, their uses & benefits.” How fun does this sound?! They have field trips, plant swaps, speakers, and work shops…And their meetings are late enough in the evening that both my husband and I could go! How about you guys: Do you enjoy going to the fair or taking your kids? Have you ever discovered something interesting while visiting one? Tulsa State Fair is coming up and I'm excited to be taking my granddaughter. And yes, I remember Elephant Ears. Haven't had one in a very long time, though. Hope you and your granddaughter have fun!